Last night, I finally pulled the trigger and took my first class at Trapeze School New York (in Washington, DC). I had been wanting to take a class for some time now... Now, I'll be honest. I like watching sports, but I really haven't been active for many years. Luckily for me, I do have coordination and natural aptitude for athletics! **** It's not as if I was signing up for some sort of pull-up/push-up/sit-up challenge. I went into the class hoping that I wouldn't be afraid to "get off the board" and only wanting to do a few swings. I think my expectations were quite reasonable. I was greeted by two instructors: Will and Brian. Will put the safetly belt on me and walked through a quick demonstration of the calls and what I should do when the calls were made. Timing is everything. He stressed the importance of doing the steps when they were called out (i.e. not to anticipate and/or wait). The quick training was just what I needed. I wanted to fly! I attached the hooks to my belt and up the ladder I climbed, when it was my turn. Up on top, I met Colin. Colin held unhooked me. Attached some other safetly lines to my belt, told me where to hold on with my left arm, brought the bar to me (i.e. so I could grab it with my right hand), and held on so I could wait for the calls to bend my knees and GO! What an experience! I had about 6-7 turns in a class that had about 10 participants at different levels. I didn't feel bad at all as a beginner, since everyone was working on their own tricks and skills. What goes up must come down, but by the end of the night I was able to do a backflip off the bar before landing!!! That's right, folks. I was able to do a backflip and I did it TWICE. Don't believe me?!?! Check out the video. Trapeze school was a great experience and yes, I'll be going back. I think I'm going to work towards a catch and maybe add another trick. Brian mentioned something about a heel hang and I watched the video a couple of times, and I think I can do it. Plus, he said that my last turn was my best turn and that I had "catchable timing". Yes, my progress and his critique motivated me to book another class. If I'm that close, I definitely have to go for the catch. Plus, I need a back-up plan, just in case this whole career thing in business gets tiring, and I decide I want to join the circus! OK, now for the nitty gritty: Class was $51 and there was a one-time registration fee of $20. If you sign up for your next class before you leave, you get a 3rd class free. The pictures with the flash drive were about $35 plus tax, and I had one of the other students film the video for me for free. 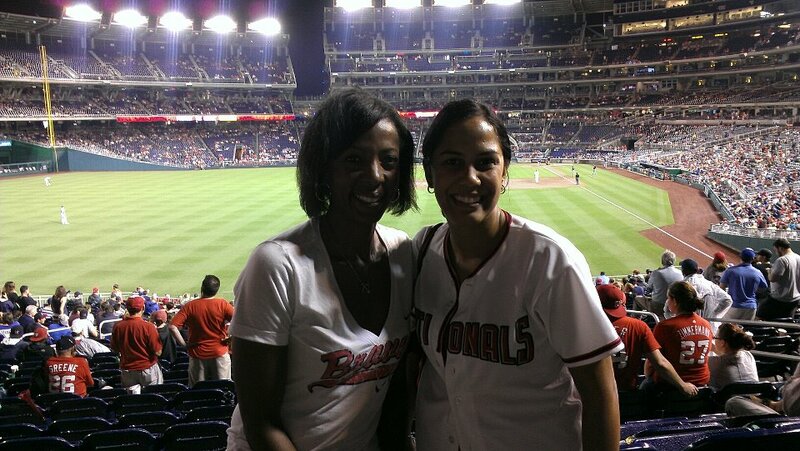 Friday, I casually pinged my friend, Kathy, to see if she wanted to go to the Washington Nationals' game. I figured that the odds were good that she'd go, since she's a huge Chipper Jones fan. Sure enough within about 20 minutes we had tickets to the game behind the Nat's dugout. She chose that location so she could look into the Braves' dugout!! 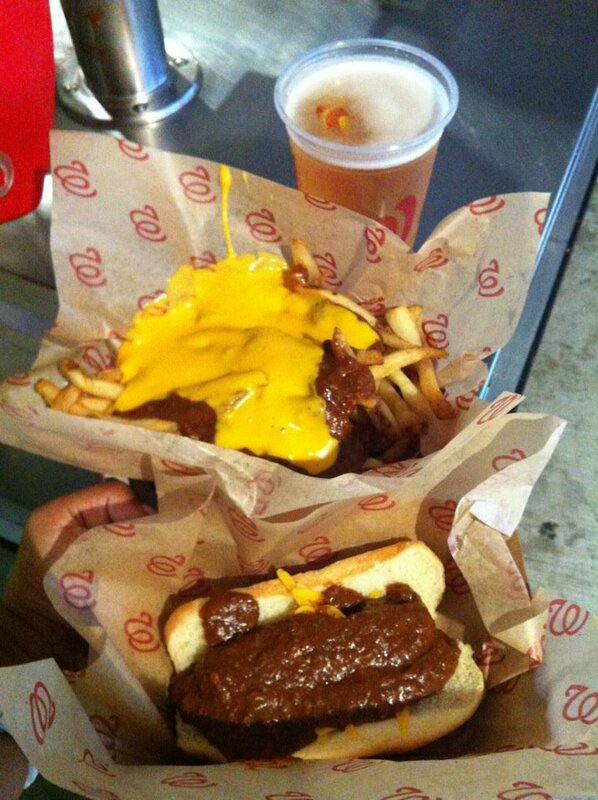 Anyway, around the 5th inning and with the Nats up 6-0, the rain started. It wasn't the torrential downpour that DC has been getting used to, but it was heavy and misty enough that we abandoned our seats and planned to watch the balance of the game on the concourse. We should've only been standing for about 4 more innings and the Nats should've ran away with the victory, right? Right?!?! After 5 complete innings the Nats were up 9-0. The game should've been over, right? Right?!?! As we stood on the concourse, and I ate my Dippin' Dots, Kathy kept rooting for her Atlanta Braves. 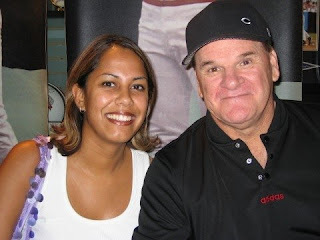 She kept saying that the Braves had terrible pitching, but that they could hit. Stephen Strasburg was the Nats' starting pitcher. It was his birthday. He should've walked away with a Nats' victory, right? Right?!?! Chipper Jones and the Atlanta Braves played some exciting, amazing, extra-inning baseball to win with a score of 11-10, after 11 innings of action. Closer to the 9th inning, Kathy and I settled in on the Braves' side of the field and she could hear "her people" (i.e. fellow Braves' fans doing the famous tomahawk chop and chant). She was on "Cloud 10", until the Nats tied the game after 9 innings. If you want the box score and/or the play-by-play, you're going to want to hit ESPN.com or another sports website. Aside from the score, here's your Chipper Jones' fun fact of the game: Jones is now the all-time leader in RBI's for a third baseman with 1,598. I was there. I saw it. Saturday Team USA held a Military Appreciation event at the DC Stadium Armory. Nike gave away "Hoops for Troops" blue T-shirts and the event was a terrific way for Team USA's Men's and Women's Basketball teams to show their appreciation towards those who serve the USA. Approximately 3,100 tickets were distributed and the crowd was thrilled to see our nation's finest basketball athletes work through drills, participate in a scrimmage, and a few selected lucky ducks were able to compete in a skills challenge with their favorite member of the team! What a great event for the Nike World Basketball Festival, the DC Armory, and Team USA! I hope you enjoy the great shots of fan favorites, Kobe Bryant and LeBron James (i.e. along with Washington DC's own Kevin Durant). These guys may compete with different jerseys during the better part of the year, but in international competition, they're definitely UNITED. Other notables who attended the event were Lenny Wilkens, Gheorghe Muresan, and the Georgetown University Hoyas' own: Patrick Ewing, Alonzo Mourning, and Coach John Thompson (Senior). Team USA (both men and women) will take on Brazil at the Verizon Center on Monday, July 16. The women play first and the men are slated to start at 8PM. Update (July 16): According to my contact, there are only 2 single tickets available in the lower bowl for tonight's match-ups. The price is $784/ticket. Barry Farms... Have you ever heard of it? I hadn't, but then again, I'm not a native of the DMV. When my friend, Teri, mentioned the event, I wanted to check it out... Those of you, that read this blog, know that I'm always up for anything sports-related, especially basketball. 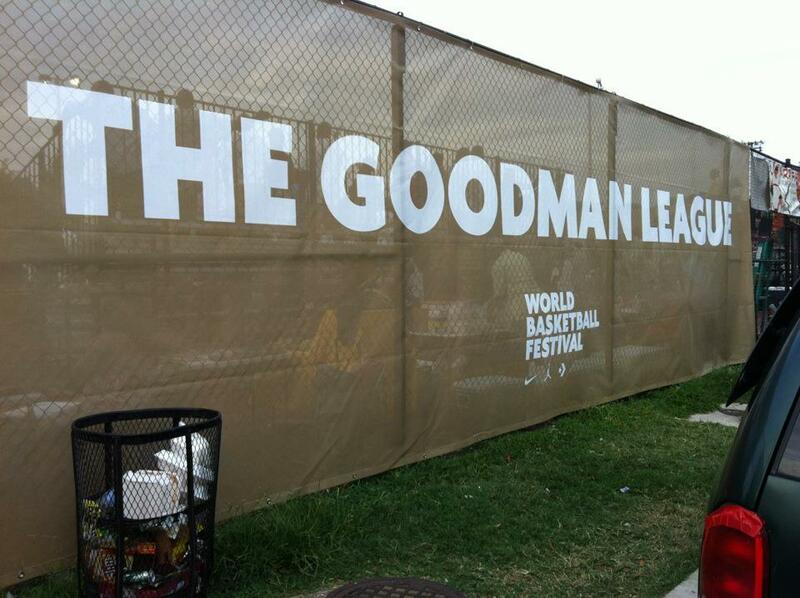 With the Nike World Basketball Festival in town, I ventured over to the court to catch The Goodman League in action. My friends and I watched the Goodman League take on a team from New York. If I remember correctly, they played two 20-min halves. Unfortunately the DC team lost, but it was a fun time out and chance to see the newly, redone basketball court. John Thompson Sr. was there at the beginning to take in the action. 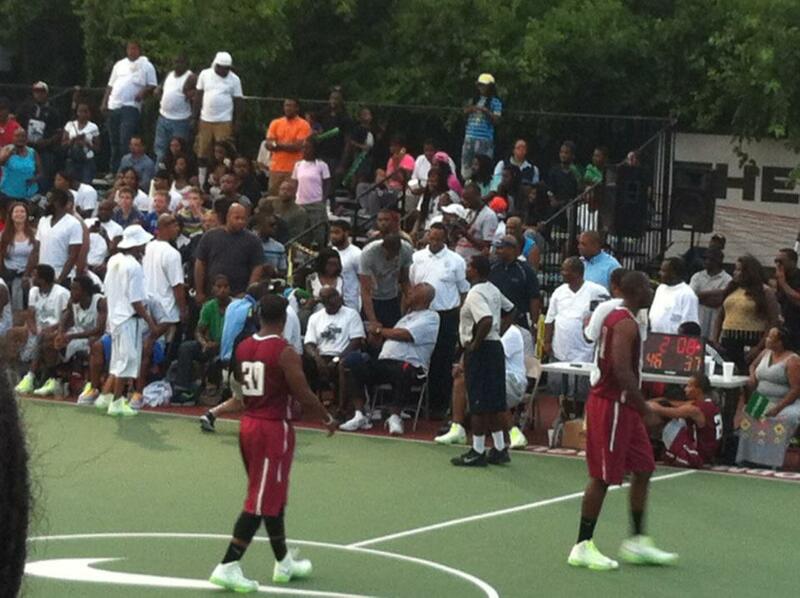 Kevin Durant and James Harden showed up as well. Now, I just need to check out the competition at Rucker Park and my summer basketball experiences will be close to complete! For those of you that are curious, above is a panoramic picture of court. In case you're like me and not right on top of the USA Men's Basketball schedule, I'd like to let you know that the USA Men's (i.e. and Women's) Basketball teams are coming to the Verizon Center in Washington, DC. Both teams will be playing Brazil's Olympic squads. Do you know who Oscar Schmidt is? If you are a true international basketball fan, you do. Regardless, educate yourself here: http://en.wikipedia.org/wiki/Oscar_Schmidt. If you want a pair of front row tickets (i.e. according to Ticketmaster's website) that are in section 112 (i.e. which traditionally look at the visiting team's bench for NBA games) there are a pair for $827.65 EACH. That's right - for you and your wife/buddy/customer/client/child/boss, etc. you'll spend close to $1,700. Don't worry, Moneybags, a portion of you ticket price will go to USO charities. So if you're fortunate enough to have the ticket money, a huge fan of Team USA, and can't make it to London for the festivities - get yourself to the "Phone booth" on Monday at 5:30PM for the doubleheader. If you're feeling charitable, I'm only interested in a single ticket and it's ONLY $520.90. If you want to donate to my ticket account, feel free to Paypal me at sjwirk@gmail.com. **** I guess I've been catching too many clips of Team USA in Las Vegas, that I presumed that they'd head straight to London when they were finished training in Las Vegas. As it turns out their stint, out West, wraps up on July 12. In addition, I was talking to my friend, Teri, earlier and The Nike World Basketball Festival 2012 will take place at the DC Armory July 14-15. This was also news to me. You can expect to find me at the DC Armory this weekend to get over my basketball drought, since the NBA Finals, and to relive some 1992 Dream Team Memories. From what I understand there will be some select appearances by members of the Dream Team at certain events. So, for all of you "hoop heads" in the DC/VA/MD area, it looks like you have something to do! 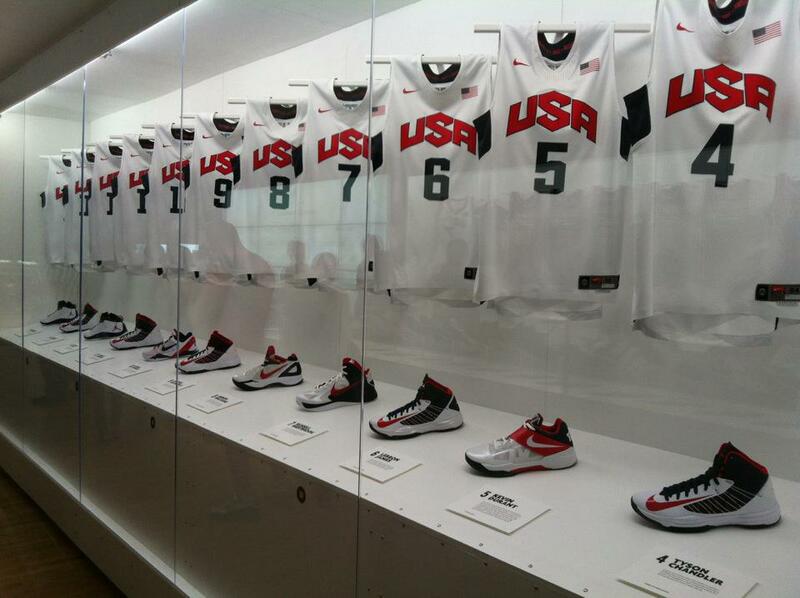 Go out and support Team USA Men's and Women's Basketball. Nominated for the 2012 U.S. Olympic Men's Team were: Carmelo Anthony (New York Knicks); Kobe Bryant (Los Angeles Lakers); Tyson Chandler (New York Knicks); Kevin Durant (Oklahoma City Thunder); Blake Griffin (Los Angeles Clippers); James Harden (Oklahoma City Thunder); Andre Iguodala (Philadelphia 76ers); Kevin Love (Minnesota Timberwolves); Chris Paul (Los Angeles Clippers); Russell Westbrook (Oklahoma City Thunder); and Deron Williams (Brooklyn Nets). Oh and there's another guy... Hmmm. What's his name? You know - that guy who left Cleveland to win a Championship with the Miami Heat. Yes, LeBron James. The men are coached by Duke University's, Coach K.
Admitedly, I'm not as familiar with the Women's team, but here are the names I recognize from the USA National Team: Sue Bird (Seattle Storm), Swin Cash (Chicago Sky), Tina Charles (Connecticut Sun), Asjha Jones (Connecticut Sun), Maya Moore (Minnesota Lynx), Candace Parker (Los Angeles Sparks), and Diana Taurasi (Phoenix Mercury). **** No offense intended to the other women on the squad who's names I didn't include. I think I only recognize these names from their NCAA Women's Tournament game performances. The women are coached by UConn's own, Geno Auriemma.